Valentina was born in Lucca, of a German mother and Italian father. 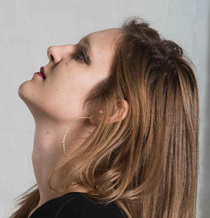 Initially as a pianist, she started to study double bass with Gabriele Ragghianti in late 2009, graduating with Honours from the “Istituto Musicale L. Boccherini” in Lucca in October 2014. She gained her Master of Performance (Honours) at the Royal College of Music in July 2016. Valentina has also focused her attention on composition, graduating with Honours and has won several awards and prizes notably: first prize in the “RCM double bass competition 2016 ”, the Vernon Elliot Double Bass Competition 2018, Vivian Joseph Classical Concerto Competition 2018 (String Category) and won the De Simone and Partners at the Chamber Music Festival in Rome. 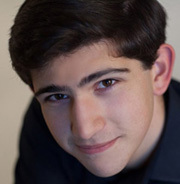 She was granted a scholarship at the Accademia Chigiana for the summer of 2018 with Maestro Giuseppe Ettorre. She was a finalist in important national and international competitions such as the “Migliori Diplomati D’Italia” (best young Italian music graduate) 2015 and the “Double bass international competition Galicia Garcia Graves. Selected with other 16 young double bass players from around the world, she performed live in the final rounds at the worldwide double bass solo competition funded by “Bradetich Foundation” in Denton, Texas, at the end of august in 2017. Orchestral auditions include the OGI, the GMJO 2015, Gustav Mahler Academy 2016, BBC SO training scheme and the “Gran Teatro Giacomo Puccini Torre del Lago Orchestra” (Lucca). Between 2013 and 2016 Valentina has played, mainly as the principal or co-principal, with several symphonic and chamber orchestras, including the Northern Youth Symphony Orchestra Manchester, Camerata strumentale di Prato, the BBC SO and the Arché Orchestra. She also has wide experience as a soloist. She recently gave a solo performance with “I solisti veneti” with Maestro Claudio Scimone (the double bass concerto in A major by Domenico Dragonetti and the Fantasia sui temi della Sonnabula by Giovanni Bottesini) and she won the prestigious scholarship granted by this Academy (Proliber) She has performed as a soloist in prestigious London concert halls like the “Wigmore Hall” and “St. Martin in the Fields”. She has been invited to the pre-opening of the Zappanale 2018 in St.Katharinen Kirche (Hamburg) with her Trio featuring the Worldwide saxophone virtuoso Napoleon Marphy Brock. Currently, Valentina is a young artist in the “Musica con le Ali” association in Milan and Talent Unlimited (UK) and lives and works in London. She been awarded as the Junior Fellow Soloist at the Trinity Laban Conservatoire, London for the academic year 2018/19 under the patronage of the Carne Trust. Winning a scholarship from associazione Animando in Lucca for a research project investigating the music of Giacomo Puccini’s ancestors means her work will be published soon. 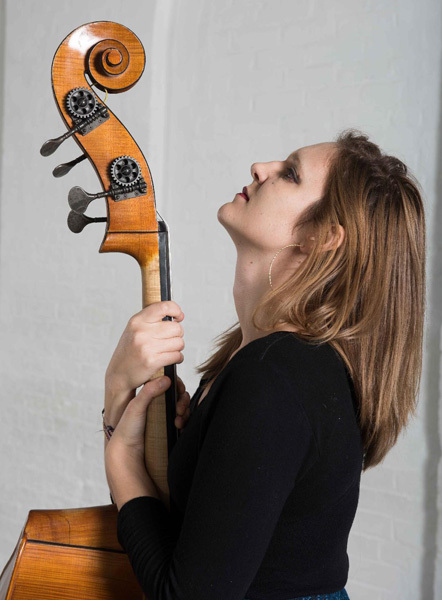 Valentina’s focus and goal is to expand the double bass solo repertoire by composing new virtuoso pieces, transcribing (mostly Frank Zappa’s Repertoire), and playing new compositions written for her from many contemporary composers. She also has wide Jazz experience playing at important Jazz Festivals with the Dusseldorf Jazz Marathon, Villa Celimontana Jazz Festival, Tuscia Jazz, Umbria Jazz Clinics. 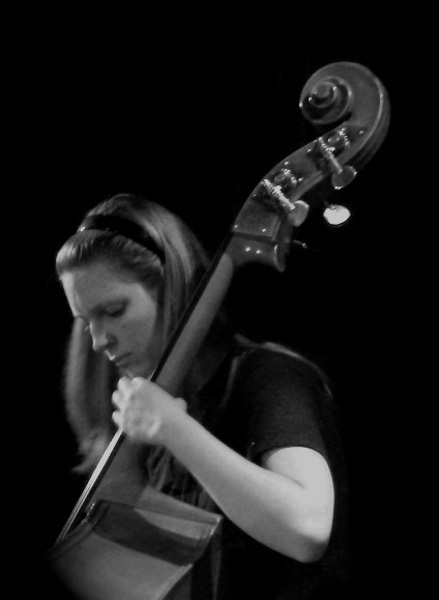 She reached the finals in competitions like Tuscia Jazz as Best player of both doublebass and electric bass and Nicola Tiberio Awards in 2012.